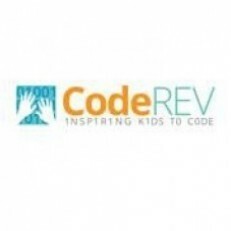 CodeREV Kids was born out of a desire to fill a need in education, a need to provide a true, comprehensive technology education in a fun, stress-free environment. Our STEM focused courses and tech camps provide the basis for a much deeper education in technology than what students receive at their schools. This is because our instructors are all both industry tested STEM and coding professionals, and because these instructors have gained a wealth of teaching experience to kids in STEM, Technology, and Coding in various formats. Further, CodeREV Kids was founded by education and technology experts, so it is a perfect synthesis of education and STEM. This is evidenced through CodeREV's amazing STEM and TECH Coding Camps and After School Classes.